Before the digital age, retailers that tried to sell across media were pretty rare. Barnes & Noble added music CDs to their product mix when the era of records and cassettes had long passed. Record stores rarely sold books and, if they did, tended to sell books related to an interest in music. For those stores, it wasn’t so much about combining media as it was about offering a defined audience content related to their interest, like Home Depot selling home repair books. For the most part in pre-Internet times, books, music, and video each had its own retail network. But when media became largely digital in the first decade of the 21st century, the digital companies that decided to establish consumer retail tried to erase the distinction that had grown up dividing reading (books) from listening (music) from watching (movies and TV). The three principal digital giants in the media retailing space — Amazon, Apple, and Google — all sell all these media in their “pure” form and maintain a separate market for “apps” as well that might contain any or all of the legacy media. It seems from here that Amazon and Barnes & Noble have a distinct advantage over all their other competitors in the ebook space because, with books — unlike movies and TV and music — the audience toggles between print and digital. And this might not change anytime soon. The stats are scattered and not definitive, but a recent survey in Australia found that ninety-five percent of Australians under 30 preferred paperbacks to ebooks! Other data seem to indicate that most ebook readers also read print. To the extent that is true, a book shopper — or searcher — would want to be searching the universe of book titles, print and digital, to make a selection. It should be more widely understood that the physical book will not go the way of the Dodo nearly as fast as the shrink-wrapped version has for music or TV/film. It hasn’t and it won’t. There are very good, understandable, and really undeniable reasons for this, even though it seems like many smart people expect all the media to go all-digital in much the same way. Making the case that “books are different” requires me to unlearn what I was brought up to believe. 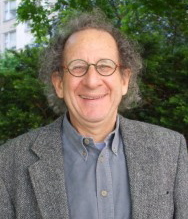 My father, Leonard Shatzkin, used to ridicule the idea that “books are different”, which was too often (he thought) invoked to explain why “modern” (in the 1950s and 1960s) business practices like planning and forecasting and measuring couldn’t be applied to books like they were to so many other businesses after World War II. In fact, Dad shied away from hiring people with book business experience, “because they would have learned the wrong things”. But in the digital age, and as compared to other media, books are definitely different and success in books, whether print or digital, is dependent on understanding that. First of all, the book — unlike its hard good counterparts the CD (or record or cassette) and DVD (or videotape) — has functionality that the ebook version does not. Quite aside from the fact that you don’t need a powered device (or an Internet connection) to get or consume it, the book allows you to flip through pages, write margin notes, dog-ear pages you want to get back to quickly, and easily navigate around back and forth through the text much more readily than with an ebook. There are no comparable capabilities that come with a CD or DVD. Second, the book has — or can have — aesthetic qualities that the ebook will not. Some people flip for the feel of the paper or the smell of the ink, but you don’t have to be weirdly obsessed with the craft of bookmaking to appreciate a good print presentation. But third, and most important, is the distinction about the content itself. When you are watching a movie or TV show or listening to music through any device, the originating source makes only the most nuanced difference to your consumption experience. Yes, there are audiophiles who really prefer vinyl records to CDs and there probably are also those who will insist that the iTunes-file-version is not as good as the CDs. And everybody who has watched a streamed video has experienced times when the transmission was not optimal. There are almost certainly music and movie afficionados who will insist on a hard goods version to avoid those inferiorities. But the differences between printed books and digital books are much more profound and they are not nuanced. In fact, there are categories of books that satisfy audiences very well in digital form and there are whole other categories of books that don’t sell at all well in digital. That is because while the difference between classical music and rock or the difference between a comedy and a thriller isn’t reflected in any difference between a streamed or hard-goods version, the difference between a novel and a travel guide or a book of knitting instruction is enormous when moving from a physical to digital format. For one thing, the book — static words or images on a flat surface, whether printed or on a screen — is often a presentation compromise based on the limitations of “static”. The producer of a record doesn’t think “how would I present this content differently if it is going to be distributed as a file rather than a CD?” But the knitting stitch that is shown in eight captioned still pictures in a printed book could just as well be a video in an ebook. And it probably should be. In fact, this might be the use case for which a consumer would make a media-specific decision. If you know what knitting stitch you need to learn, searching YouTube for a video might make more sense than trying to find instructions in a book! Losing the 1-to-1 relationship between the printed version and the digital version adds expense and a whole set of creative decisions that are not faced by the music and movie/TV equivalents. And they are also not a concern for the publisher of a novel or a biography. But these are big concerns for everybody in the book business who doesn’t sell straight-text immersive reading. The point is that screen size and quality are not — and never were — the only barriers in the way of other books making the digital leap. So even though fiction reading has largely moved to digital (maybe even more than half), most of the consumer book business, by far, is still print. Even eye-catching headlines like the one from July when the web site AuthorEarnings (organized and run by indie author Hugh Howey, who is a man with a strong point of view about all this) said “one in three ebooks” sold by Amazon is self-published, might not be as powerful at a second glance. Although Howey weeds out the ebooks that were given away free, the share of the consumer revenue earned by those indie ebooks would be a much smaller fraction than their unit sales. The new ebooks from big houses, which is a big percentage of the ebook sales they make (and that AuthorEarnings report in July said the Big Five still had an even bigger share of units than the indies), are routinely priced anywhere from 3 to 10 times what indie ebooks normally sell for. So that “share” if expressed as a “share of revenue” might be more like five or ten percent. It really couldn’t be more than 15%. But indie authors on Amazon are the industry high-water mark of indie share and ebook share. They are almost entirely books without press runs or sales forces, so they are almost entirely absent from store shelves. And they are also entirely narrative writing. The facts, apparently, are that even heavy ebook readers still buy and consume print. There is not a lot of clear data about whether “hybrid readers” make their print-versus-digital choice categorically or some other way. There is some anecdata suggesting that some people read print when it is convenient (when they’re home) and digital when it is not. There are a number of bundling offers to sell both (offered by publishers and one called “Matchbook” from Amazon), which certainly seems to say that publishers believe there’s a market of people who would read the same book both ways at the same time! What that all would seem to say is that the retailer selling ebooks only is seriously disadvantaged from getting searches for books from the majority of readers. Do we have any independent evidence that selling to the digerati only — selling ebooks only — might limit one’s ability to sell ebooks? I think we do. It would appear that B&N has sold roughly the same number of Nooks as Apple has iPads. (This equivalence will probably not last since Nook sales seem to be in sharp decline.) That is somewhat startling in and of itself, since Apple is perhaps the leading seller of consumer electronics and B&N was entirely new to that game. Nook also seems to have — at least for a while — sold more ebooks than Apple. (This “fact” may also be in the rear view mirror with the apparent collapse of Nook device sales.) I will be so bold as to suggest that this is not because Nook has superior merchandising to the iBookstore. More likely it is because the B&N customer is a heavier reader than the Apple customer and prefers to do his or her book shopping — and even his or her book device shopping — with a bookseller. There is one more huge distinction between books and the other media and it is around the motivation of the consumer. While sometimes TV or movies might be consumed for some educational purpose, most of the time the motivation is simply “entertainment”, as it is with music. While analysis of prior video or music consumed and enjoyed might provide clues to what should be next, figuring out what book should be next is a much more complex challenge. And the clues don’t just come from prior books consumed and enjoyed. Books are bought because people are learning how to cook or do woodworking, or because they are traveling to a distant place and want to learn a new language or about distant local customs, or because they are going to buy a new house or have suddenly been awakened to the need to save for retirement. You can’t really suggest the next book to buy to many consumers without knowing much more about them than knowing their recent reading habits would tell you. But not only do (most of) the ebook-only retailers not know whether you’re moving or traveling, they don’t even know what you searched for when you were looking for print. And, even if they did know, operating in an ebook-only environment would make many of the best suggestions for appropriate books to address everyday needs off limits, because many of those books either don’t exist in digital form or aren’t as good as a YouTube video to satisfy the consumer’s requirements. 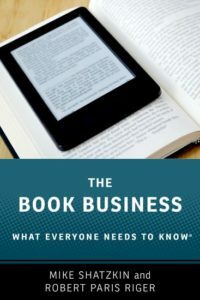 Indeed, it is the sheer “granularity” of the book business — so many books, so many types of books, so many (indeed, innumerable) audiences for books — that makes it so different from the other media. Of course, there is one company — Google — that is not only in the content business and the search business but which also handles “granularity” better than any company on earth, down to the level of the attributes and interests of each individual. Google not only would know if you were moving or traveling, they would be in a great position to sell targeted ads to publishers with books that would help consumers with those or a million other information needs. (They also know about all your searches on YouTube!) But because Google’s retailing ambitions are bounded by digital, they are walking past the opportunity to be the state-of-the-art book recommendation engine. They’re applying pretty much the same marketing and distribution strategy across digital media at Google Play. They aren’t seeing that book customers are both print and digital. They aren’t seeing that books are, indeed, different. When the day comes that they do, this idea will look better to them that it might have at first glance.